Bond investors are worried that banks could deliberately run down capital to trigger a bail-in of their contingent convertibles. Checks and balances mean the risk is small. But it’s still real. 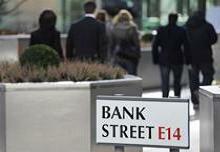 Banks could address it by aligning bonuses with CoCos. Barclays Banks raised $3 billion of so-called high trigger contingent convertible bonds on Nov. 14. The bonds will write down all their principal if the Bank’s common equity Tier 1 ratio falls to 7 percent.